Olly Robinson (Cardiff Blues) is shown a yellow card. What a tackle there by Olly Robinson as he saves a certain try!. Cardiff Blues sub Liam Belcher comes onto the field. 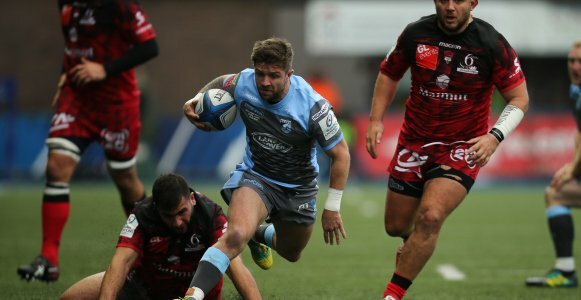 Ethan Lewis departs for Cardiff Blues. Josh Turnbull has made 10 good tackles so far this game. Lyon have won 60 rucks so far this game. Olly Robinson comes on for Cardiff Blues. Nick Williams leaves the field. Liam Gill has made 10 good tackles so far this game. Dylan Cretin has made 10 good tackles so far this game. What a run here by Matthew Morgan as they gets over the gainline!. Jean-Marcellin Buttin has made 10 good tackles so far this game. Lewis Jones makes the break as the defence re-enacts the parting of the red sea. Gareth Anscombe adds the two points for Cardiff Blues. Fabulous play by Cardiff Blues has led to Aled Summerhill being able to wriggle through a gap. The kick through from Cardiff Blues has allowed Lewis Jones to touch down. Cardiff Blues decide to make a substitution, with Matthew Morgan getting some game time. 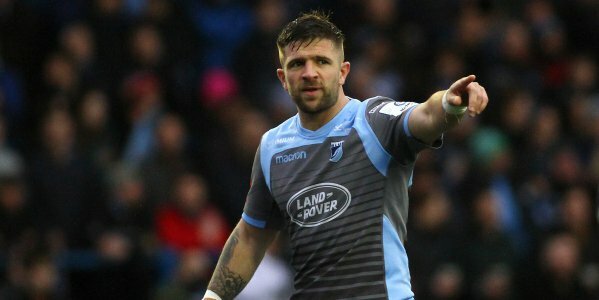 Cardiff Blues decide to make a substitution, with Jarrod Evans being replaced. Cardiff Blues make a substitution with Lewis Jones coming on. Cardiff Blues make a substitution with Tomos Williams coming off. Cardiff Blues sub Shane Lewis-Hughes comes onto the field. Macauley Cook departs for Cardiff Blues. Quentin Delord comes on for Lyon. Charl McLeod leaves the field. 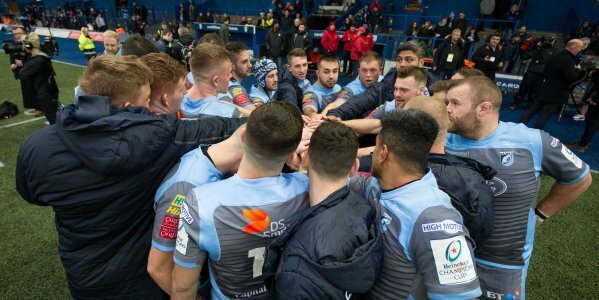 Cardiff Blues decide to make a substitution, with Ethan Lewis getting some game time. 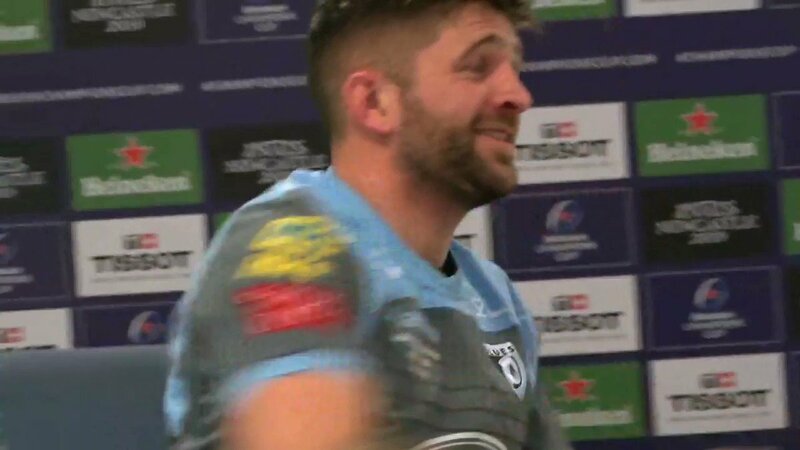 Cardiff Blues decide to make a substitution, with Liam Belcher being replaced. Cardiff Blues make a substitution with Scott Andrews coming on. Cardiff Blues make a substitution with Dimitri Arhip coming off. Gareth Anscombe does the business as his conversion attempt goes over. Josh Navidi sets up the try. Incisive passing by Cardiff Blues is finished off by Tomos Williams, as he goes over for the try. Trouble here as Josh Navidi breaches the defence. This is dangerous for the defence as Gareth Anscombe bursts through to advance the Cardiff Blues attack. Lyon sub Hamza Kaabeche comes onto the field. 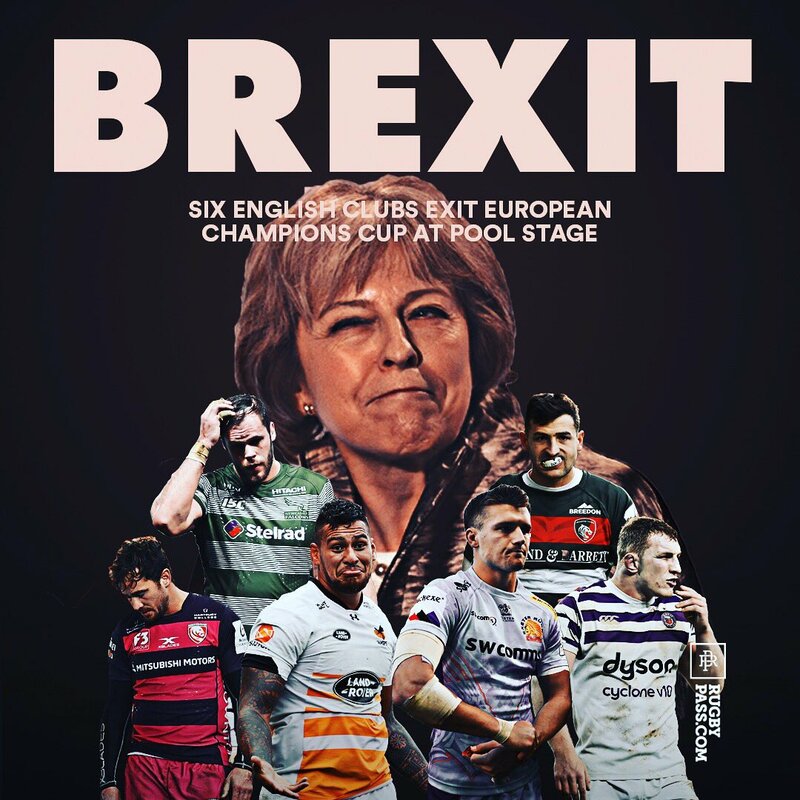 Kevin Yameogo departs for Lyon. Francois van der Merwe comes on for Lyon. Loann Goujon leaves the field. A gap opened in the defence and Jeremie Maurouard took full advantage. Lyon have won 40 rucks so far this game. The defensive line has been broken as Alexis Palisson goes through the gap. Gareth Anscombe makes no mistake with that conversion attempt. Spellbinding play by Tomos Williams is finished off with a try. Silky skills by Cardiff Blues ends with a try for Owen Lane. What a run here by Owen Lane as they gets over the gainline!. Liam Gill makes the break as the defence re-enacts the parting of the red sea. 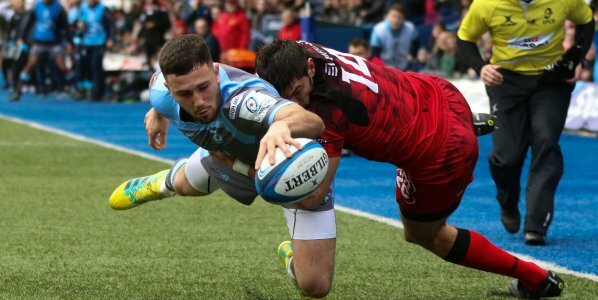 Fabulous play by Cardiff Blues has led to Tomos Williams being able to wriggle through a gap. Alexis Palisson converts the try. Toby Arnold played a key part in that try. A wonderful passing move by Lyon is finished off by Xavier Mignot. Trouble here as Xavier Mignot breaches the defence. This is dangerous for the defence as Aled Summerhill bursts through to advance the Cardiff Blues attack. That's a great try assist by Harri Millard. A series of passes by Cardiff Blues results in a try for Aled Summerhill. Macauley Cook sets up the try. Great hands by Cardiff Blues leads to a try for Aled Summerhill. A gap opened in the defence and Harri Millard took full advantage. The defensive line has been broken as Loann Goujon goes through the gap. Lyon have won 20 rucks so far this game. The referee awards a penalty try to Lyon. Lyon put the pressure on with this scrum and it has paid off as they are awarded a penalty try. There wasn't enough power on that penalty goal attempt by Gareth Anscombe as it drops short of the posts. @BidgoodMatthew @Menna1405 He's so good we picked him twice!